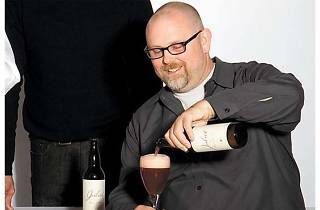 Photo: Lindsay Gallup Greg Hall, the outgoing brewmaster at Goose Island. Minutes after Goose Island, my inbox was flooded with e-mails of concern from people—not food media mind you, but normal everyman Chicagoans expressing dismay at their local beer company getting swallowed up by a brewing giant. Greg Hall knew this would be the natural reaction, so he called me to try to set the record straight. People said we sold our souls in 2006 when [node:42831 link=we signed a distribution deal with AB;] but look at what’s happened since then. We are still craft brewers. That year we had just brought out Matilda as a seasonal and were eventually able to make it year-round. We introduced Bourbon County Stout and since then we were able to add variations on it, as well as add Sofie, Fleur, Juliet, Madame Rose, Pepe Nero and Nightstalker. 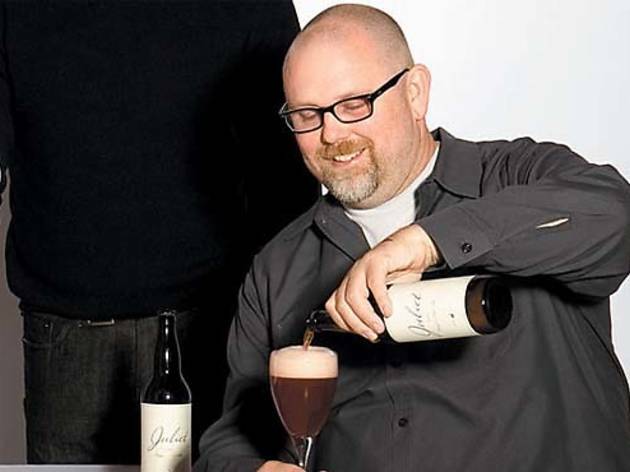 That kind of innovation and dedication to producing craft beers is what drew AB to us. So how did the deal go down? About six months ago we hired an investment banker to find money to help build a new brewery to keep up with demand. I mean, last year we had to kill three brands—Nut Brown, Oatmeal and Christmas—because we just couldn’t keep up with demand for everything. But as we found people who had the money to help us, they all wanted control and we didn’t want to give up control for obvious reasons. Then our friends at Anheuser-Busch, who’ve done a great job helping build our brand, called and said "Let's talk." We said "Before we talk, we want to make sure you know we want to keep brewing in Chicago, management in Chicago, decision-making in Chicago and we want to grow brands and add capacity." And they said "Great, that works for us." They’ve told us they’re committed to us because of who we are. I sat across the table from Dave Peacock [president of AB USA] and said "Why Goose and not Sam Adams or someone like that?" and he said "We like your beers, brands and innovations, what you’re doing and want to do with beer and food and we like that you’re in Chicago." I hate to say nothing changes. Miguel, a brewer who has worked for us for 20 years, walked in to my office and asked the same thing: Is it going to change? And I said "Miguel, when’s the last year that nothing changed?" and he said "Things change every year." Exactly. So we’ll continue to evolve by introducing new brands. Like, we’re about to release Big John, because with AB helping us add capacity it will enable us to add new stuff and keep up with the growth of brands like Matilda, which has grown 100 percent in each of the last three years. [As for] immediate change, they’re going to help us buy a bunch of new outside 400-barrel tanks so we can make more beer. Other than that, probably the biggest difference in the short term is we’ll have even better distribution. We’re not adding new markets because we expect we’ll get better distribution in existing markets. And what about long term? Well, we’ll see how the short-term capacity fix works and then it might be time to look toward a new, bigger brewery. And for me personally, I’m going to be here until April 30 in a brewmaster capacity then after that I’ll be on board as an advisor on beers, branding and strategy, working a minimum of three or four days a month. So you’ll just sail off into the sunset on the deal? This was my ray of sunshine through the clouds. When you think about this, my father had worked for Container Corporation of America since his early ‘20s and had seen it grow while his influence with that company grew. And in the late '80s his company was sold and he had the opportunity to stay on but he had two kids in school so he hung it up and started his own thing, starting Goose when he was 45. Well, I’m 45, I have two kids in school and I’ve worked with same company since my twenties. So this is perfect timing. It gives me money to start something new and a little bit of flexibility. I can’t really talk about what I’ll be doing for another month or so but it won’t be beer. Think about it—if Goose Island was my Mt. Everest, climbing Mt. McKinley would be boring. I’ve already done the beer stuff. I’ve created a new style in bourbon stout, I’ve brought wild fermentation beers to a food community and the masses, and there’s gotta be at least a dozen Goose brewers working as head brewers around the country and I’m terrifically proud of that. Now it’s time for something else.